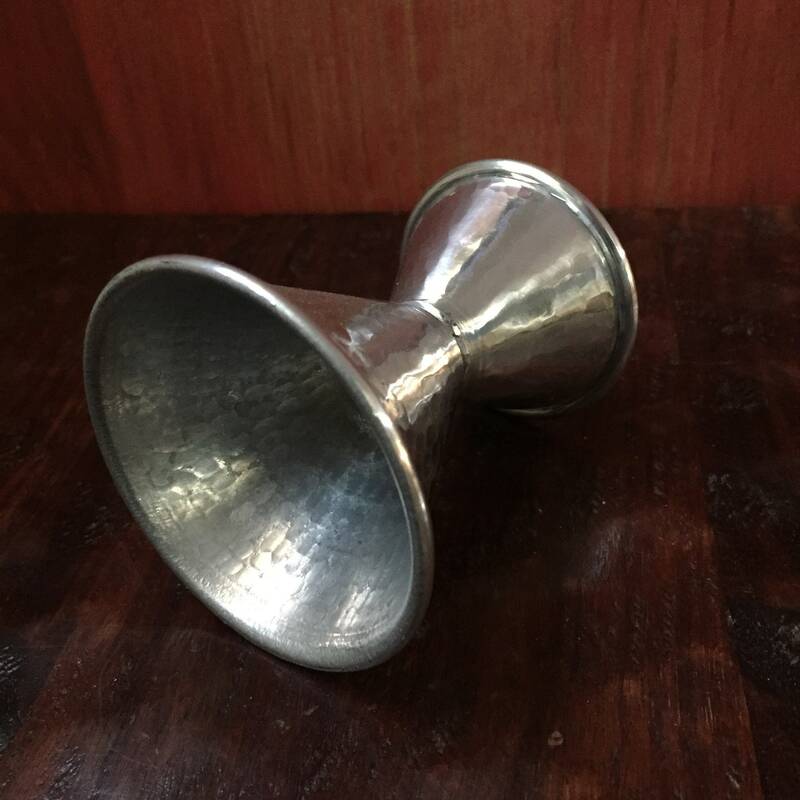 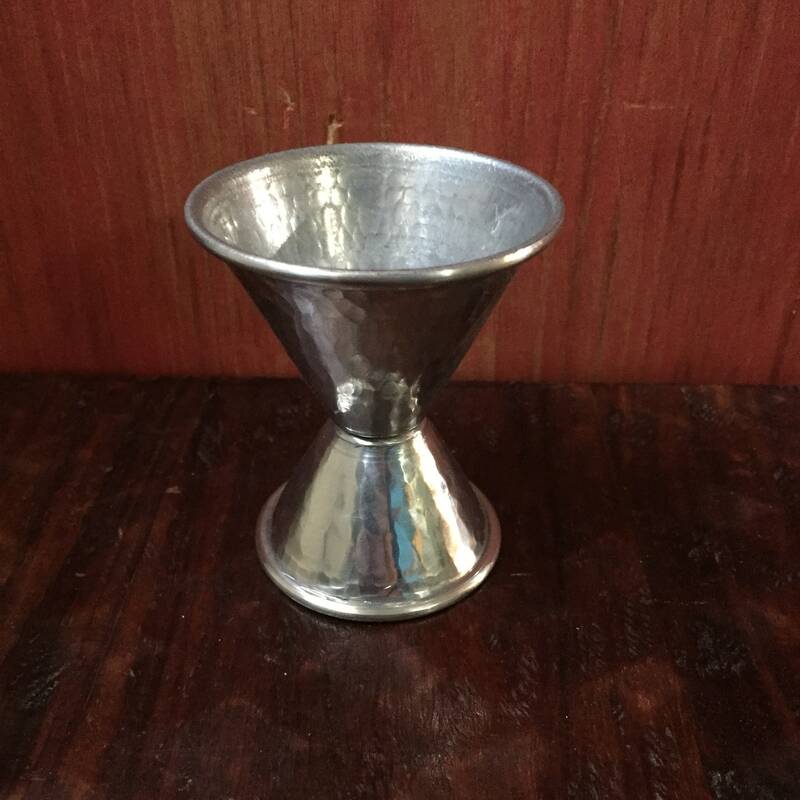 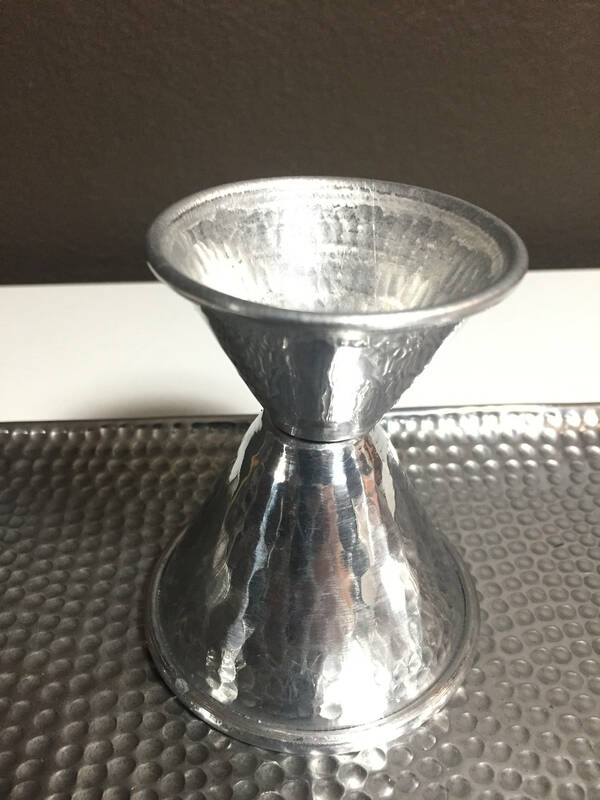 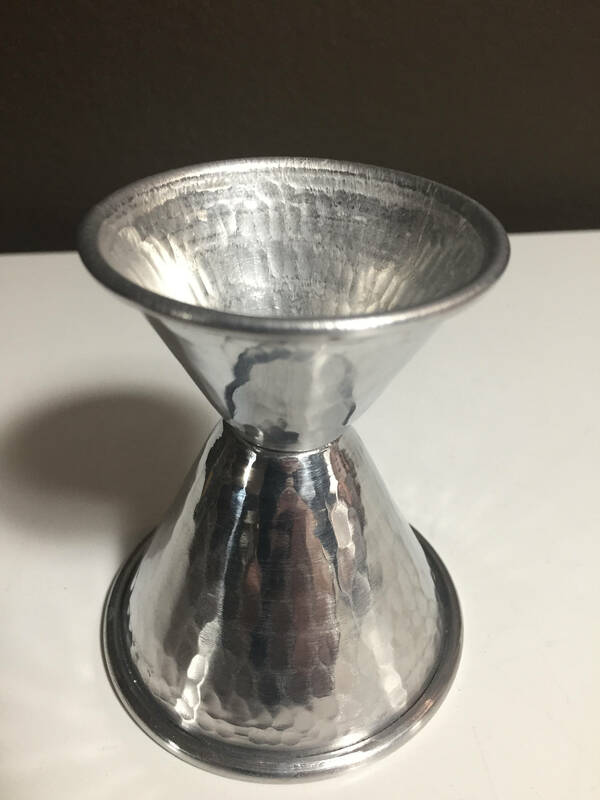 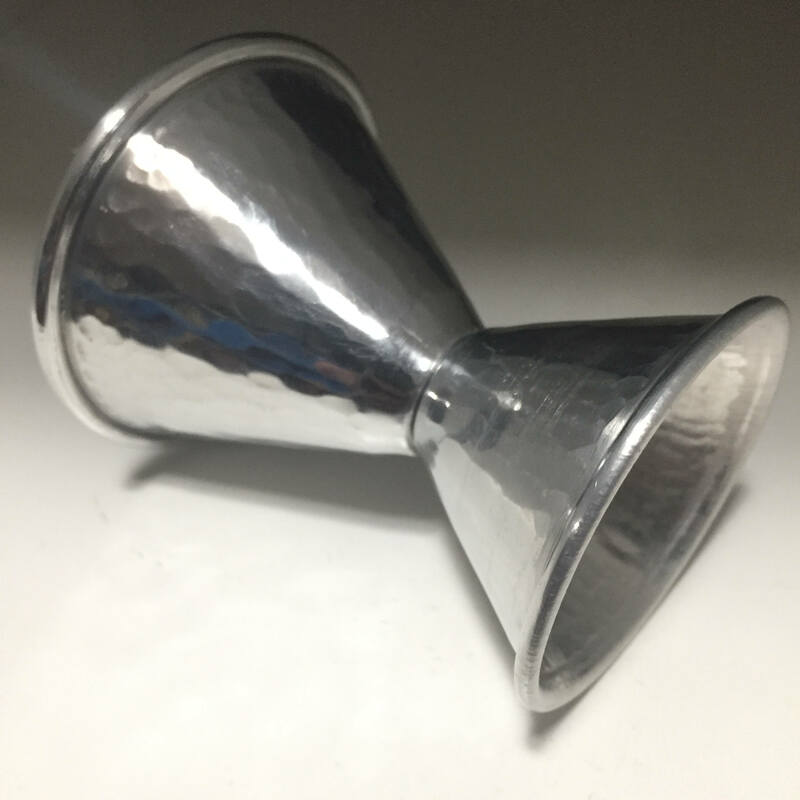 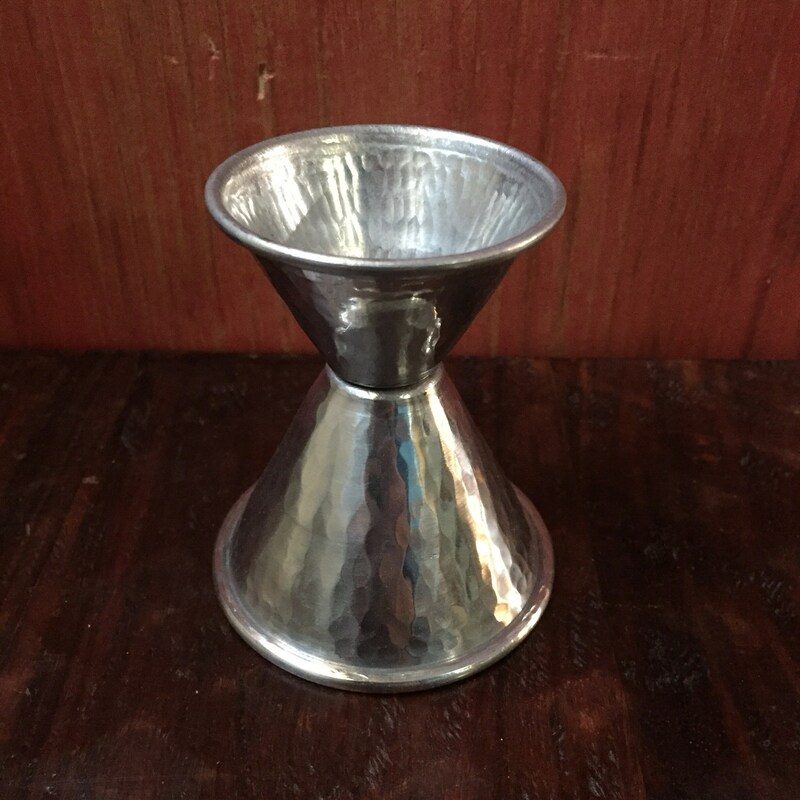 1 oz/2 oz handcrafted hammered aluminum double-sided jigger. 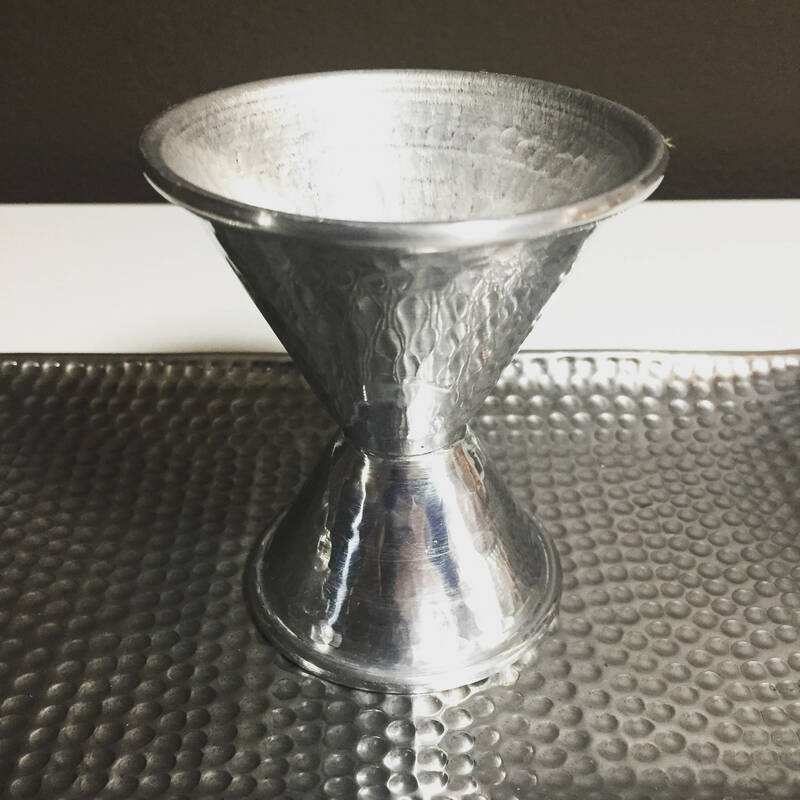 Polished and hammered, ready to shine in anyone's bar. 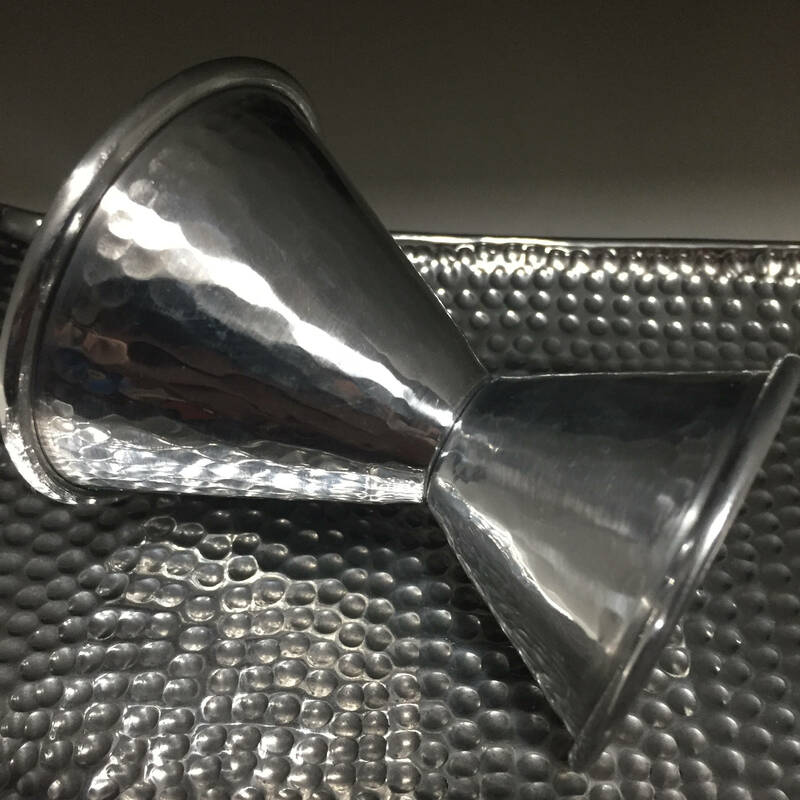 These are the perfect bartool for your collection. 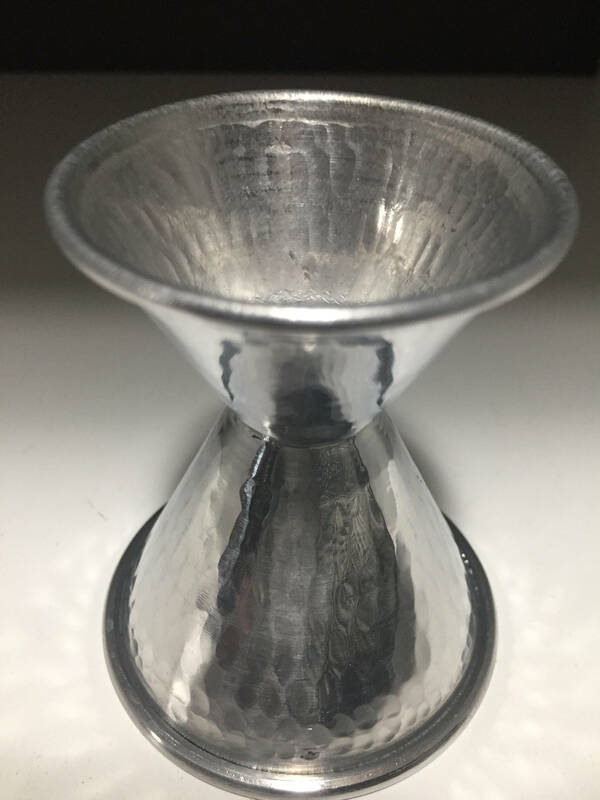 These measure approx. 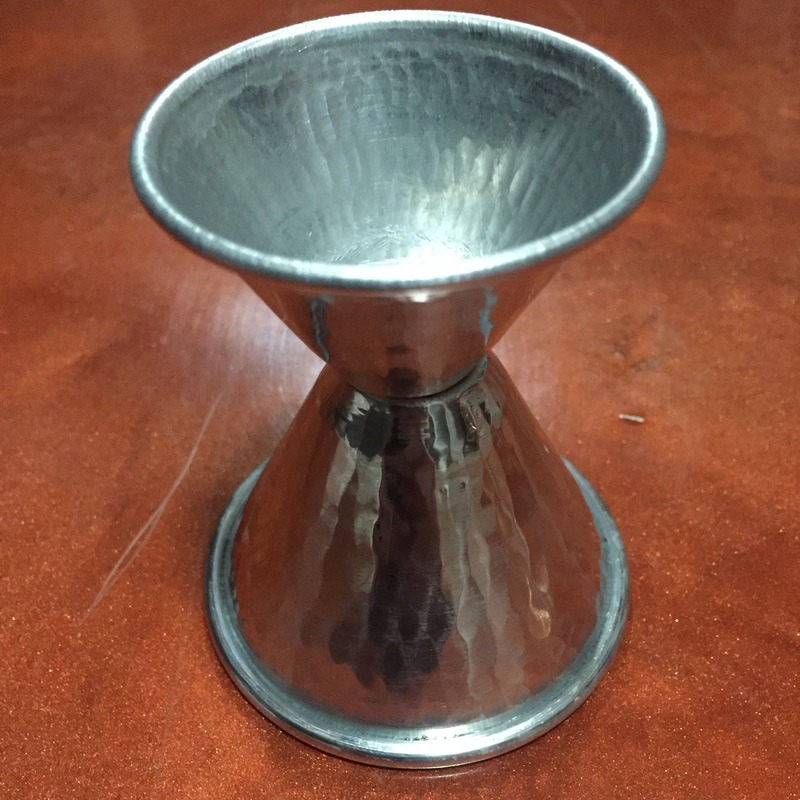 2 1/2” diameter by 2 3/4" high.